Sarah Patten - Marci R.D. Sarah Patten RD, LDN, RYT is a registered dietitian and certified yoga teacher passionate about health, nutrition, and living a joyful life. Sarah values connection and strives to approach each client as an individual while embracing a positive, non-judgmental attitude. She empowers her clients to discover a guiltless relationship with food, an accepting relationship with their bodies, and connection to living an authentic and balanced life. Sarah started her nutrition journey as a food scientist, but quickly realized her need for human connection to feel fulfilled in her work, something she truly missed while working in the food industry. Sarah received her Bachelor’s of Science from Cornell University, completing a dual major in both Food Science and Dietetics. She completed her Dietetic Internship at the highly competitive University of California San Francisco Medical Center where she gained exposure to working with a wide variety of patient populations. It was here that she had her first experience working with adults and adolescents struggling with eating disorders and realized her passion for working with this population. Sarah began her career as an inpatient dietitian at Boston Children’s Hospital where she was able to further develop strong clinical skills and experience working with varied health concerns. During her three years at Children’s, Sarah specialized in working in adolescent eating disorders and oncology patients on both an inpatient and outpatient basis. Sarah joined Marci’s practice in 2012 and transitioned to full time work in private practice in 2013. Her strong and varied clinical background allows her to work with a myriad of nutritional concerns, but her true calling is helping her clients recover from disordered eating, body image concerns, and emotional/compulsive eating. Although she started out as a pediatric dietitian, Sarah enjoys working with clients of all ages and stages of life. 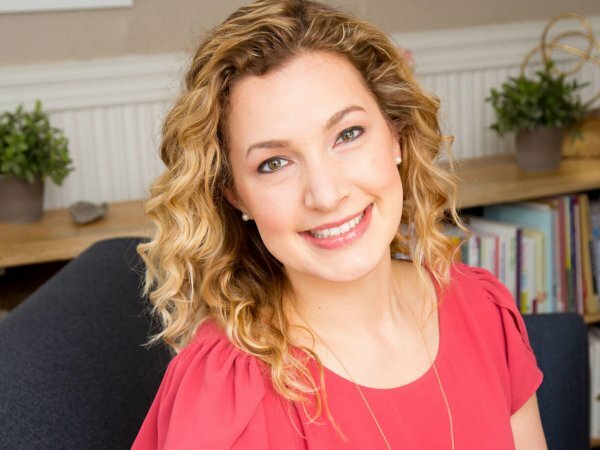 She completed advanced training as an Intuitive Eating Skills Coach in 2014 and embraces a non-weight focused, non-diet approach in her practice. Sarah truly believes that all foods can fit into a healthful lifestyle and works from a Health at Every Size (HAES) framework. In addition to her love for food and wellness, Sarah is passionate about the practice of yoga and completed her 200 hour yoga teacher training at Down Under School of Yoga in June of 2016. She incorporates both the psychological and physical tenets of yoga into her work by helping clients reconnect with their bodies and their intuitive wisdom of themselves. Her knowledge of yoga informs her work both on the mat and in her nutrition counseling. Most recently, Sarah started her level 1 training in Internal Family Systems (IFS), a therapy model helpful in exploring and befriending all of the various parts of ourselves. By embracing these parts with curiosity and compassion, Sarah hopes to help her clients find a better understanding of themselves while moving towards a life led primarily by their authentic core Self. Outside of her nutrition therapy work, Sarah enjoys traveling the globe, joyful movement, exploring different cuisines, spending time outdoors, and connecting with friends and family.